What is the Slum Ping Pong project? 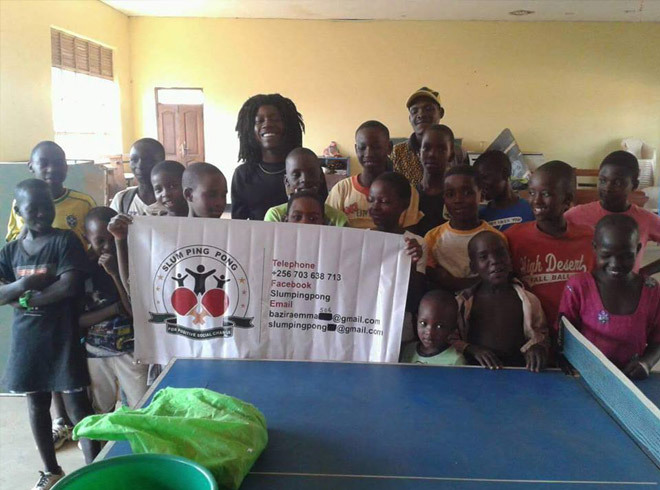 The idea behind the initiative is to improve the lives of children and young people living in the slums of Uganda – especially through table tennis. “I started playing table tennis at the Sharing Youth Centre in Nsambya when I was in Grade 4. 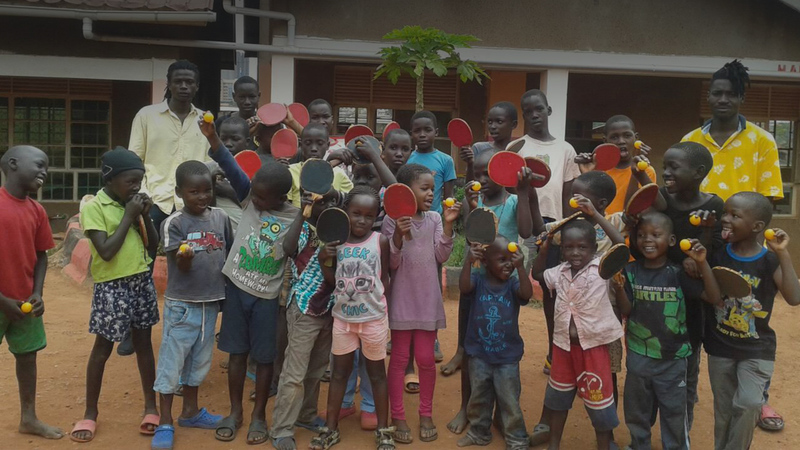 I became the best player in my age group in Uganda and was given the opportunity to attend the Railway Children’s Primary School in Nsambya for free,” posts mytischtennis.de quoting Bazira Bale, founder of Slum Ping Pong. Who drew attention to the project in Germany? Sabine Winter: some of you are sure to know her. For those of you who don’t: Sabine Winter is a German table tennis player. 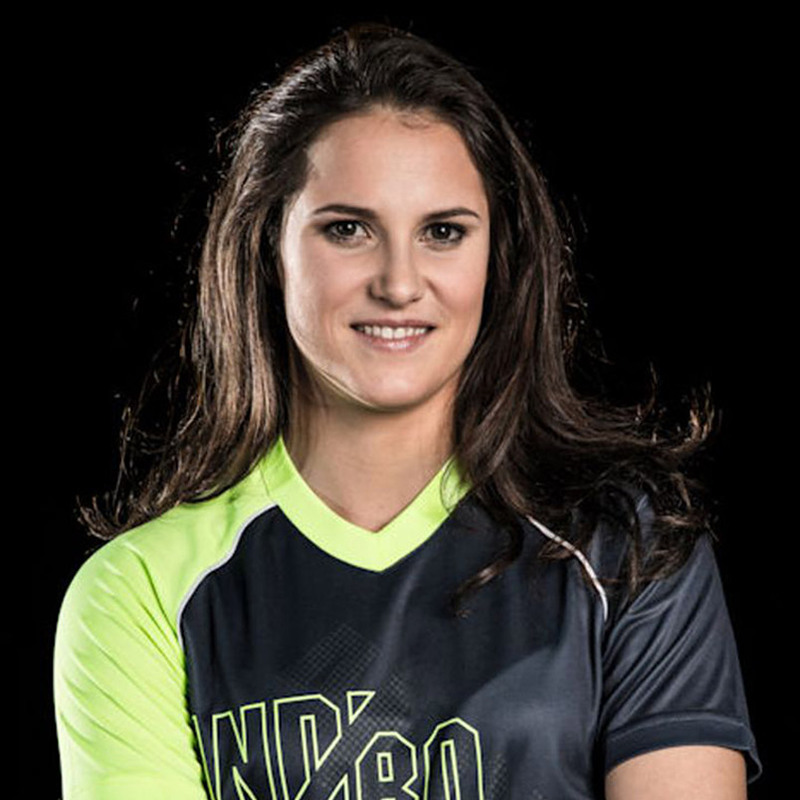 Her major successes include the European Championship title in doubles in 2013 /2016, third place in the Europe Top16 in singles in 2017 and a World Championship Bronze in the team event in 2010. If you like, she put the right spin on the ball, resulting in a huge surge of support. It is mostly thanks to her that the Slum Ping Pong project is known in Germany and supported by other initiatives – in fact, the commitment is so great that other table tennis initiatives in Africa will be able to benefit as well. We asked Sabine how it all happened. Sabine, how did you find out about the project? What was your idea of supporting the campaign and what came out of it all? “I’d been wanting to sell my shirts for a good cause for a long time, but I still wasn’t sure which one. I asked Bazira to tell me all about Slum Ping Pong. He said that he’d launched the project with the aim of giving kids in slums the chance to play table tennis, teach them important values and maybe even help some of them to obtain a place at school. The story stirred my interest. I asked lots of questions. Bazira told me that a year’s schooling for a child only costs 53 euros. I was amazed at how much he can achieve with little money by our standards. “As with many good causes, money helps,” she wrote on her Facebook page. “I have loads of table tennis shirts and I’d like to help a little by selling them and donating the money to Slum Ping Pong.” So she put up a lot of her shirts and her Olympic shoes from London 2012 for sale in ebay classifieds. “Things moved slowly to begin with, but after a couple of days, the initiative attracted more people and I was able to donate 610 euros. I’ve since had another few requests, so I’ll be able to donate some more to Slum Ping Pong. How did Bazira use the money? So far they’ve bought new balls, some second-hand gym shoes as many of the kids play barefoot and several lunches for up to 45 children at their summer camp, which only cost 10 euros. The money still isn’t used up. Other table tennis initiatives found out about yours and want to help. Did you expect your initiative to meet with such a response? #PPPSpendenAufruf ❌UPDATE❌Wir sind nun am Ende unsere Spendenaktion angekommen und warten noch auf die letzten Einsendungen. Hier schonmal ein kurzes Video mit allen Sachen, die wir bereits erhalten haben. Wir sind überwältigt! Vielen Dank an alle, die uns so tatkräftig unterstützt haben!Ursprünglich haben wir für SLUM PING PONG in Uganda spenden gesammelt. Uns hat dieses Projekt direkt angesprochen und es lag uns sehr am Herzen den Kindern dort zu helfen. Uns wurde schnell klar, dass wir voraussichtlich so viele Spenden erhalten werden, dass wir damit noch mehr Gutes tun können. So kam es, dass wir weitere Projekte mit aufgenommen haben. Über Sabine Winter haben wir von jemandem in Ghana erfahren, der ebenfalls unsere Hilfe gebrauchen kann. Er möchte, ähnlich wie Slum Ping Pong, etwas für die Kinder dort tun. Sein Ziel ist es mehrere Tischtennis Clubs zu eröffnen, in denen die Kids dann dort dem Sport näher und von der Straße weg gebracht werden können. Durch Quadri ARUNA haben wir erfahren, dass es auch in Nigeria hinten und vorne an Tischtennismaterialien fehlt und die Kinder dort sich selbst kaum etwas leisten können. Quadri wird die Spenden dann an geeignete Einrichtungen weitergeben.Als die Spendenaktion lief, hat sich ein junger Mann bei uns gemeldet, der in Eastern Cape (Südafrika) an einer Schule gearbeitet hat. Da wird auch ein schönes Paket hingehen. Für jedes Land haben wir ein passendes Paket geschnürt, unser Fokus lag dabei jedoch auf dem ersten Projekt: Slum Ping Pong. Wir stehen mit jedem Ansprechpartner vor Ort in engem Kontakt und sind uns sehr sicher, dass die Sachen auch ihren Nutzen erfüllen werden. Genießt und teilt das Video und seid hoffentlich genauso begeistert von der Aktion wie wir! 🙂 Wir bedanken uns nochmal bei myTischtennis.de für den Artikel, dieser hat der Aktion auf jeden Fall Aufwind gegben. Wir halten euch weiterhin auf dem Laufendem, bis dahin verabschieden wir uns mit einem kräftigen:Arrr!❌PS: Wir arbeiten aktuell an einem weiteren Tischtennisbezogenem Projekt, um SLUM PING PONG auch finaziell zu unterstützen und auch andere coole Sachen zu starten. Dazu bald mehr! The SPIN College – a table tennis school in Hamburg – found out about Slum Ping Pong and launched a fundraising campaign of their own. We think that the commitment of the Germany table tennis community – sparked by Sabine Winter– is awesome! So much passion and the determination to help is infectious and inspires others. At the moment, we are thinking about how the LMC can do its part. As soon as we have news, we’ll let you know.